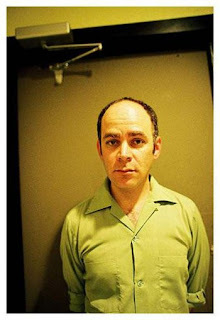 Todd Barry’s voice is one of the most recognizable stand-up comedy voices today. It also helps that whatever the comedian says is golden, meaning it’s hilarious and often time you’ll find yourself repeating it to other people. The comedian, who’s touring now (check out his website for dates at: http://www.toddbarry.com/shows.html) took time out of his busy stand-up schedule for an interview with Zoiks! Online. Q – How long have you been doing stand-up and how did you get involved with it? A - I started in South Florida in 1987, during the big "comedy boom" of the late 80's. Comedy clubs opening up everywhere, and bars and restaurants having comedy nights. So, it was pretty easy to get on stage during this time. Q – When you first started your comedy career, what types of challenges did you come across in terms of finding and writing material? A - At some point early on, I realized that there were things I'd say in conversation that might work on stage. So then you start monitoring every thought and conversation you have, wondering whether it would work as a joke. It's kind of annoying, but necessary. Q – How would you describe your act for those who have yet to see you perform? A - I try to avoid describing it, but I would probably just say "dry" or "sarcastic." That usually scares them off. Q – What’s the absolute best thing about being a comedian? A - Basically doing whatever you want and being able to sleep late. Q – When you’re on the road, how often do you want people to recognize or not recognize you? A - I get recognized regularly, but not all day long. Most people are nice. The only time it's a problem is if someone is really drunk, and they want to have a long conversation they're not capable of having. I also feel weird getting recognized when I'm alone in certain situations, like if I'm eating alone at a Chick-fil-A at four o'clock in the afternoon. Q – Which city or area was the best place you’ve performed? A - You can really have a good or bad show anywhere. I've had great shows in some of the cities you might guess (Chicago, San Francisco, Los Angeles) but I also like to play places that a lot of comedians don't go. A few months ago I had a really fun show in Fargo, ND. Q – Women always say they love men with a sense of humor. Would you say being a comedian is a better opportunity than being a rock star in terms of getting chicks? A - I doubt it's better than being a rock star, but it's probably better than a lot of other jobs. A - The only time I've ever come close to saying anything like that is when I'm trying to walk into a club where I'm about to do a show, and they have a doorman who never bothered to find out who was performing that night, and you get hassled like you're trying to cut the line or something. Then I FREAK OUT!!! Q – You perform all over the world, hundreds of times a year. Does traveling ever get any better? A - I do hate the constant feeling of going in and out of town. Sometimes I come home, throw my bag in the middle of my kitchen and leave it there until the next trip, which is kind of depressing. Not something you can complain about, even though I just did. Q – What types of things do you like to do on the road other than post receipts of where you’ve eaten? A - I usually just find out a fun area to walk around. Not every city has one of those, though. If they don't, I just play on the Internet, and maybe get some work done. Q – Do you have anything you wanted to add or promote? A - I have a pretty nice web site: www.toddbarry.com.